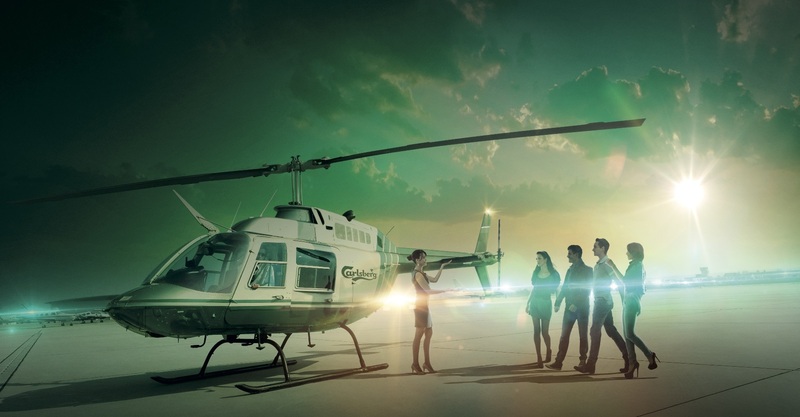 The Friend-tastic Campaign will reward 50 lucky Carlsberg consumers with an all-expense-paid, VIP trip by helicopter to Resorts World Genting. Carlsberg is known for bringing people together and the brand believes ‘That calls for a Carlsberg’ moments are best celebrated with friends. Carlsberg’s recently launched the ‘Friend-tastic Campaign’ to give consumers more reason to bond and foster new relationships in a unique VIP experience. The Friend-tastic Campaign kicks off with a first of its kind consumer promo that rewards 50 lucky consumers with an all-expense-paid VIP style trip to one of the country’s most popular tourist spots, Genting Highlands, the city of relaxation and entertainment. What’s more, each winner gets to bring three friends along! The chosen ones will first enjoy a thrilling VIP helicopter ride from Subang airport to Resorts World Genting, where they will be in the lap of luxury as they experience an exclusive two-day, one-night stay at the Genting Grand Hotel Suite. The trip comes complete with sumptuous buffet breakfasts, a one hour relaxing spa treatment session and RM1,500 food and entertainment credit. Of course, there will be plenty of complimentary ice cold Carlsberg for everyone to share. To take part in the promotion, which ends on May 31, Carlsberg consumers just need to check the bottle cap liner when they open a big bottle of Carlsberg at participating restaurants, cafés, and food courts. The VIP Genting giveaways await those 30 who discover a bottle cap liner with a hop leaf and the letter ‘A’. Collecting 30 bottle caps with just the hop leaf and no ‘A’ will earn consumers a limited edition Carlsberg Sports Watch, whereas three bottle caps will entitle them to a can of Jolly Shandy. Across modern bars and bistros, consumers can also participate through an online contest when they spend RM100 and above on Carlsberg and submit a creative photo of them with their friends. Twenty winners will be selected based on the creativity of their submitted photos. A limited edition Carlsberg cooler bag is also being given away with every purchase of a 24-can pack of Carlsberg at supermarkets and hypermarkets during the promo period, while stocks last. This entry was posted in News, Travel and tagged Carlsberg by TheGoodGoodGuy. Bookmark the permalink.